Iona is our newest staff member and she joined us in August 2017. She is currently working towards her SQV level 3 in Dental nursing. 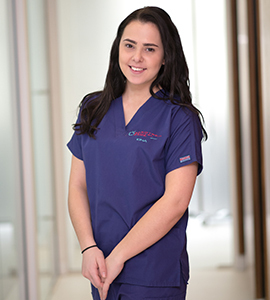 Iona has a friendly and welcoming nature and helps the hygienists and nurses to ensure our workflow is as efficient as possible.